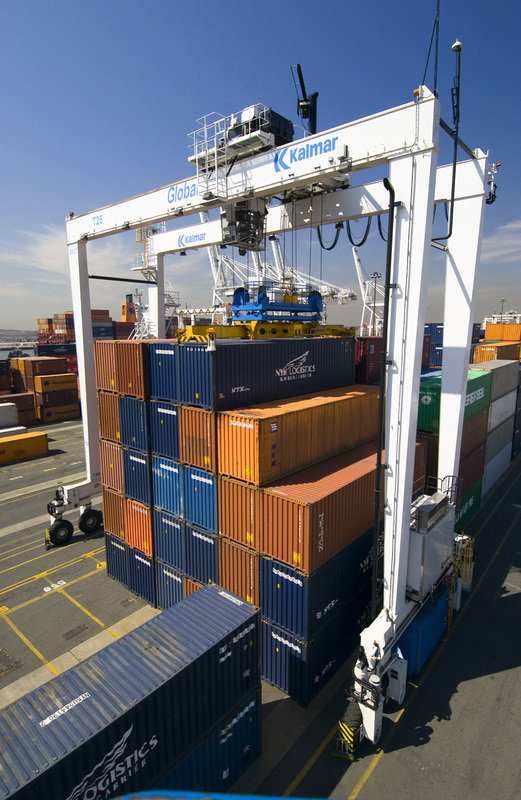 Kalmar, the business area providing container handling solutions within Cargotec, has received an order for a further 10 E-One rubber-tyred gantry (RTG) cranes from Saigon Newport Company (SNP) in Vietnam. The RTGs will be delivered during fall 2008 to SNP's Tan Cang - Cai Mep International Container Terminal. The environmentally friendly and productive E-One RTGs are all-electric cranes without hydraulics. Identical in design to the ten E-One units ordered by SNP in April 2007 for its growing Cat Lai container facility, the 6+1 wide and 1-over-5 high units will come equipped with Kalmar's container position verification system, Smartpath®, which is one of Kalmar's automation solutions. Construction of the first berth of the Cai Mep container terminal began at the beginning of 2007. Phase 1, scheduled to open by the end of 2008, will feature a 300m-long berth and a 20 ha container yard capable of handling 650,000 TEU per year. A TEU stands for one 20-foot equivalent unit. The Cai Mep terminal is the first part of the Cai Mep - Thi Vai International Port Complex development designed to serve Ho Chi Minh City, Dong Nai province and Ba Ria-Vung Tau province. As a deepwater river port located close to the sea, the Cai Mep International Container Terminal is expected to become a large transit port for the southern region of Vietnam. Unit prices for RTGs vary between EUR 1-1.5 million. Cargotec is the world's leading provider of cargo handling solutions whose products are used in the different stages of material flow in ships, ports, terminals, distribution centers and local transportation. Cargotec Corporation's brands, Hiab, Kalmar and MacGREGOR, are market leaders in their fields and well-known among customers all over the world. Cargotec's sales are EUR 2.8 billion. The company employs over 10,000 people and operates in close to 160 countries. Cargotec's class B shares are quoted on the Helsinki Stock Exchange.